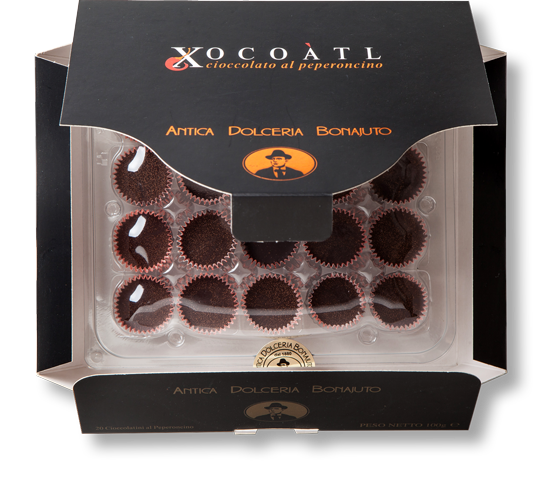 The Antica Dolceria Bonajuto has been making its chocolate in Modica since 1880. Hardly anything has changed since the old cold-processing method of cocoa used by the Mesoamericans was spread in Europe through the Spanish “conquistadores”. valuable bitter drink obtained from the cocoa fruit and served with the addition of spices. While the Europeans regarded it with suspicion and refused it for its unusual foamy consistency and its rather sour taste at the beginning, the Spanish turned this drink more desirable to their own taste by adding sugar to the mixture, which was unknown by the Mesoamerican civilizations: this is how the dream of modern chocolate started. Besides cocoa beans, the Spanish also imported the tools that the Aztecs used to employ when processing the beans: such as for example the metate, a kind of round-shaped stone heated by an underlying brazier, while the beans were ground on the upper side with the help of a stone pestle. European chocolatiers kept the Mesoamerican fundamental principle and processing method of cocoa beans basically unchanged, but added an important variation that would have great success in the following centuries… sugar and temperature. In fact, the temperature of the metate’s surface kept around 42°-45° prevents sugar crystals to melt and gives chocolate a special rough consistency that is sapid and grainy to the taste. The cold-processing method was standard in Europe until the Industrial Revolution in the 19th century slowly changed the production cycle by introducing new processing methods, such as conching and tempering. Its taste changed, and so did its consistency. However, in Modica, a county that had been very close to the Spanish Crown, the traditional cold-processing method managed to be preserved to this day thanks to an extraordinary concatenation of historical, geographical and cultural factors. That year, only three artisans continued to produce chocolate in a traditional way in Modica: Carmelo Ruta, son-in-law of Francesco Bonajuto and other two confectioners that had actually learnt the gestures of chocolatier and basics of confectionery art while working as shop boys at Bonajuto’s. 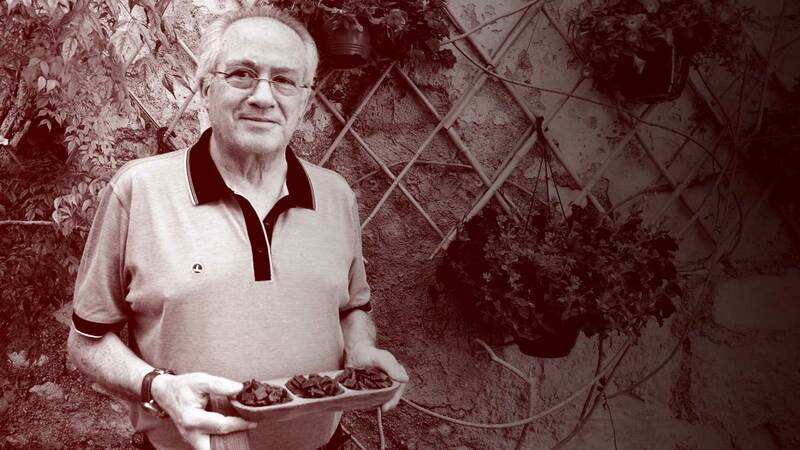 The story of such “sweet fossil” of gastronomy risked surrendering to the silence of past, if Franco Ruta’s visionariness and passion had not have the ambition to bid on that chocolate bar that was almost forgotten by his fellow citizens. In 1992, the restyling of the Antica Dolceria Bonajuto starts. Through tough work of recovery and constant promotion of traditions, confirming a declaration of top quality with the purity of the product, and cornering more and more slices of general public and enthusiasts, the Antica Dolceria Bonajuto released a nearly declining delicacy from oblivion, and helped to recover its deserved importance and historical status. Precisely five hundred years after the discovery of America, the chocolate of Modica became black gold: and Bonajuto was once again at the heart of such dream.